Hello and thanks for stopping by! 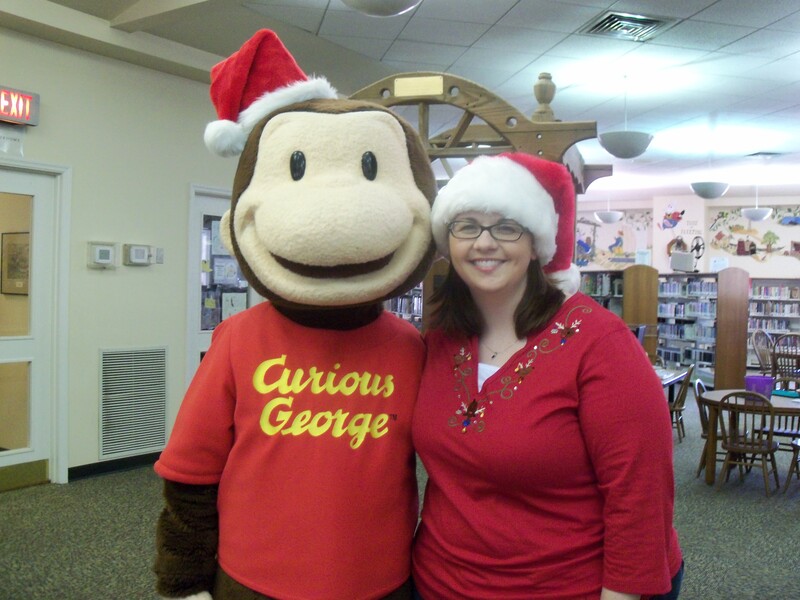 My name is Erin, and I am an attorney-turned-children’s librarian in south Georgia. I think that services to children and families are among the most important that public libraries offer because literacy helps kids grow into successful adults. My little corner of the internet is here to share my experiences in programming, children’s and young adult lit, and other library hijinks. I love hearing from teachers (homeschooling parents included!) and other librarians, so please feel free to share your own experiences here, too! This is a wonderful site, full of beautiful photographs, creative ideas, and well-written commentaries. I know I may not be the most objective person, but I think it is brilliant. I love the ghosts and the bats! They are so cute, and perfect for the Halloween season. My suggestion for the project with the undried paint in the bottom of the bottles? Maybe use a hairdryer, holding it over the mouth of the bottles but from a safe distance for one to three minutes. Another, slower method might be to turn them upside down and let them drain slowly onto some newspaper, paper towels, etc. Can’t wait for your next project! Looking forward to meeting you, Erin! I’m sure you’ll get to know my kids well! We love the library. This is a great blog, Erin! Enjoyed reading your blog today. I am the Chief Communications Officer for Bright from the Start: Georgia Department of Early Care and Learning. If you would like to receive regular updates from us, please e-mail me at reg.griffin@decal.ga.gov and I will add you to our media distribution list. Also check out our Twitter and Facebook pages. Have a great day. Erin, We are looking forward to Story time tomorrow! I love your ideas, crafts and fun you have with all the kids. Could you please email me so I can find out more abt the children’s programs. Hi, Jennifer! Thanks for stopping by! You can follow the Lee County Library on Facebook or check out our website for more information about our current children’s programs. Hi Erin! Ty enjoyed his visit today and had so much fun! I guess you could tell by all the giggles and laughter. Thank you so much for what you do! Hi, Ann! I really enjoyed meeting you both! I’m looking forward to growing our Book Buddies group! Hi Erin! I love your site! I am also a children’s services librarian named Erin. 🙂 I want to start a 1,000 Books B4K program and love what you have done. I wondered if you would email me and I can ask you some questions? Thank you! I tried to track down your email because I wanted to invite you to work with us on a project, but could not find it. Could you please send me your address to see if this is something you are interested in? Been great seeing you rev up sharing your great programs again! I know how much of a commitment blogging is so doubly appreciative of your efforts! Could you share the pdf for the camp fire kit? So excited aqbout doijng this program! Sure, Karen! Send me an email to ehoneycutt(at)mccls(dot)org and I’ll send it to you. Thanks for stopping by!